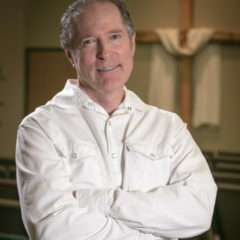 Pastor Greg is a native of San Diego California, and lived there for over 40 years. Coming from a broken home, he lived the typical undisciplined Southern California life. During his teen years, he split his time between working out with the jocks and partying with the stoners. Like many, he played the chameleon well, and blended with the group “du jour”, struggling for a personal identity that he now knows can only be fulfilled in Jesus. Not being raised in a Christian home, Greg gave little thought to who God was, and naturally developed a great appetite for what the world had to offer. In his early twenties, Greg started a construction company. His personal drive for money and possessions led him to working six and seven day weeks, sacrificing relationships and friends in pursuit of the dollar. In 1988, he thought he had arrived at his goal. He had just bought a new expensive home on 2 acres, he was driving a Porsche Carrera, he had plenty of toys including two road racing motorcycles, plenty of friends, and business was going great…but God had a different goal for Greg. A short time later, a couple of his partying buddies invited him to go to a Padre’s baseball game on a Thursday night. At the end of the night, these same guys invited him to go to church with them on Sunday morning. Greg was surprised that these guys even knew where a church was, but agreed to go. It was there that he heard for the first time someone clearly and simply articulate the message of God’s love, forgiveness, and personal plan for Greg’s life. The first time he heard an invitation by the pastor to ask Christ to be his Lord and Savior, God mercifully opened his heart to respond. The Lord immediately made some drastic changes in the way he was living his life, including giving Greg a hunger for His Word, and a passion for the lost. Greg had gone 32 years of his life without someone sharing the gospel with him, and knew that he wasn’t alone in that lack of information. He instantly began sharing the gospel with friends and family. Some received the message, many didn’t. Money was no longer the object of his attention. Jesus was now the object of his attention. After serving in lay ministry for 5 years, in 1995, Greg was invited to join the staff as an intern pastor at Horizon Christian Fellowship in San Diego, under the leadership of Pastor Mike MacIntosh. After serving there for 5 years as one of the assistant pastors, in 2001, he was called to be the assistant pastor at Calvary Chapel Cheyenne, Wyoming. In late 2002, Jesus graciously opened the door to become the senior pastor at Calvary Chapel in Rapid City.